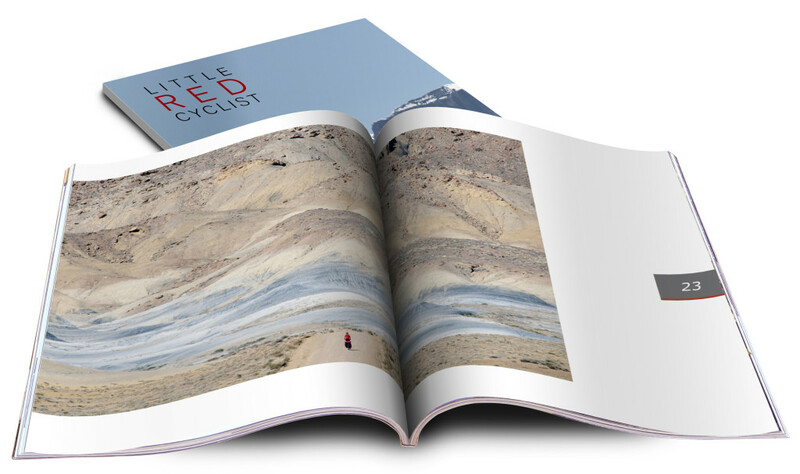 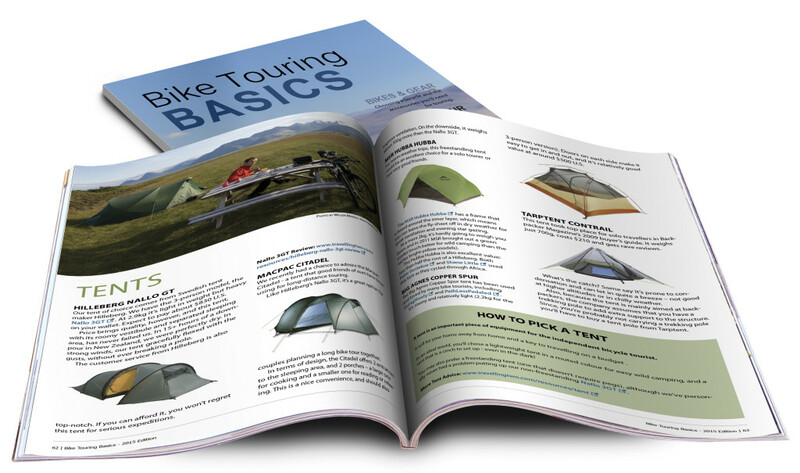 Bike Touring basics is an 86 page free eBook that will guide you in buying a bicycle, choosing gear and help you plan your first bike tour. 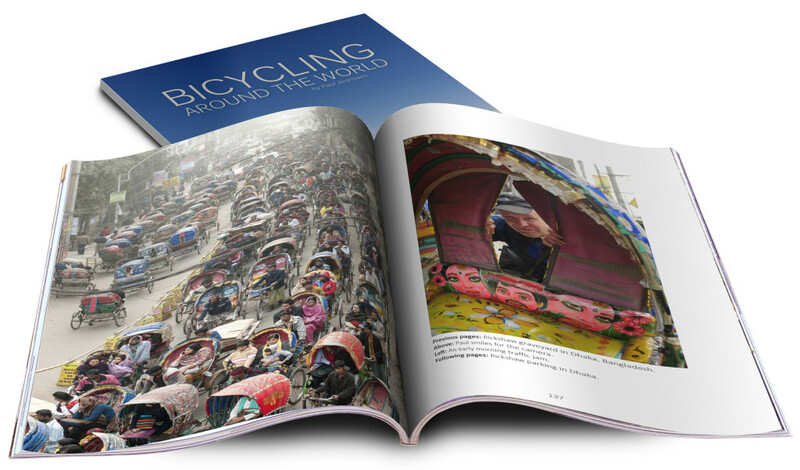 The images in this photo eBook from Paul Jeurissen show what it feels like to be a small and humble cyclist pedaling through the enormous, overpowering landscapes of the world. 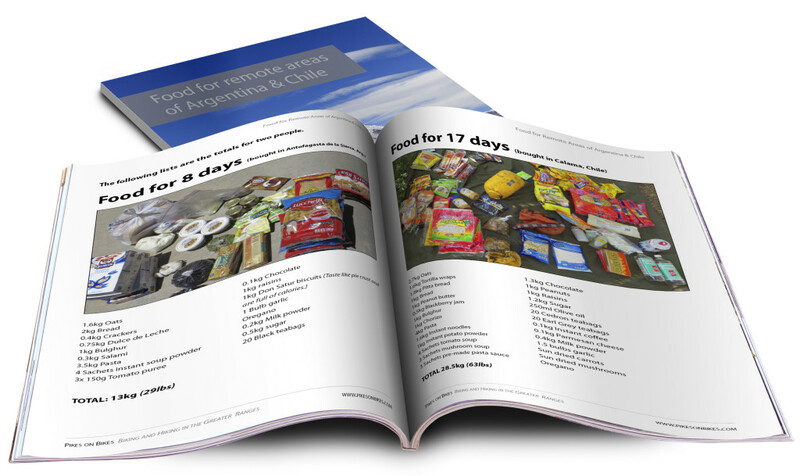 Food for remote areas of Argentina and Chile gives tips on what food to pack for long trips in the wilderness. 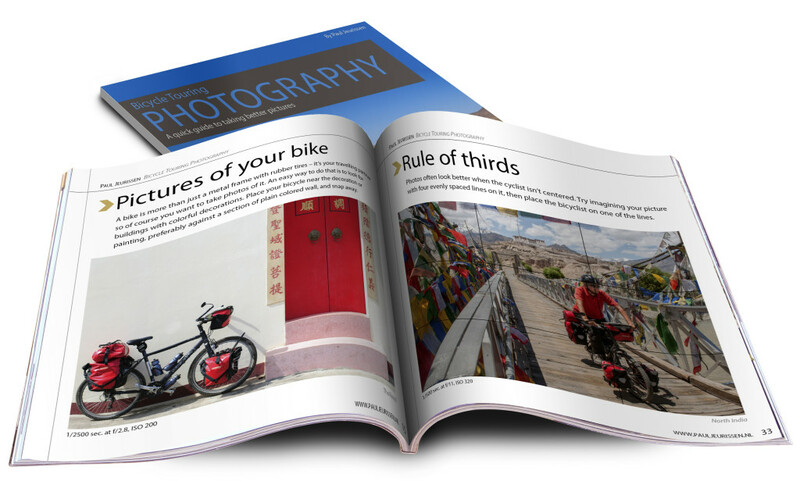 This eBook from photographer Paul Jeurissen is full of inspirational tips that will aid you in shooting better cycling images. 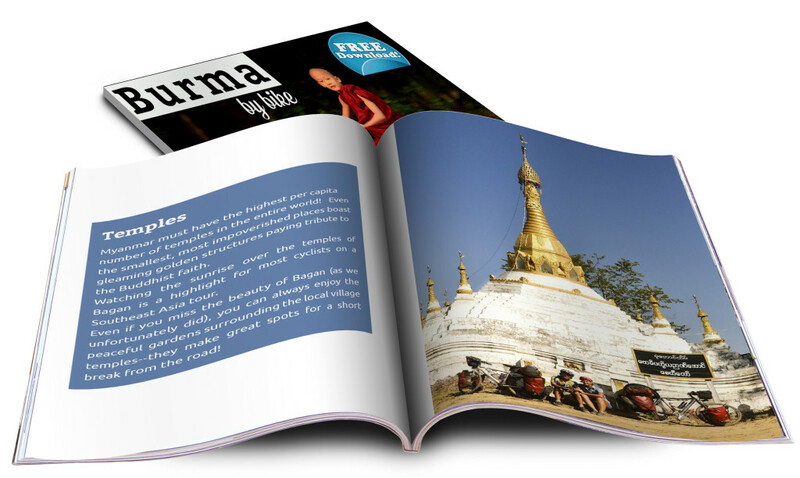 Burma by bike from world cyclist Amaya Williams contains 54 pages full of photos, information and tips on cycling through this unique country.